Evelyn was predeceased by her husband John, parents Russell and Martha Hay, brothers Ross and Ken Hay, and sisters Janet Jones and Dorothy Duncan. 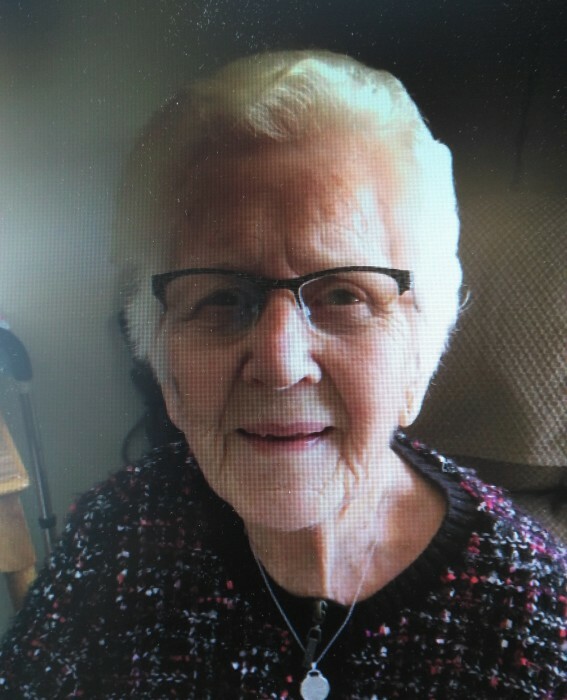 She leaves to mourn her passing her son Greg (Colette) of Cartier, MB, daughter Joyce Waterhouse (Rod) of Carberry, MB, son Scott (Trudy) of Airdrie, AB, daughter Robbyn McCron of Carberry, MB. She is also survived by grandchildren Domini (Zak), Dash (Noelle), Tyler (Alexia), Travis (Jessica), Natalie (Brady), Martinus, Adrian (Anne), PJ (Candice), and Kadin, five great grandchildren and sisters-in-law Margeurite Hay and Marjorie Hay. As well, many nieces and nephews. Mom worked tirelessly alongside Dad for 42 years to make the family farm a wonderful place to grow up and call home. She excelled at hospitality. Mom will hold a special place in the hearts of her children and grandchildren forever. A memorial service will be held Monday, March 4, 2019 at 11:00 a.m. at Omega Funeral Chapel, 83 Royal Road S., Portage la Prairie, MB. In lieu of flowers, please consider signing up for organ donation or making a donation in Evelyn’s memory to Douglas Campbell Lodge, 150 9th St. S.E., Portage la Prairie, MB R1N 3E6 or the charity of your choice.